We prioritize our construction efforts within focus neighborhoods, which helps stabilize entire communities through responsible homeownership.  Habitat is committed to inclusive community development. We believe that responsible homeownership plays a vital role in protecting neighborhoods from displacement, increasing resident autonomy and control, and encourages responsible urban growth. Within our service area, we have identified several focus neighborhoods where we currently prioritize our efforts. The Sheridan Hollow neighborhood is adjacent to Albany’s downtown district and is just a short walk from the New York State Capitol, the Empire State Plaza, and Albany City Hall. To date, Habitat has built or rehabilitated 28 homes in Sheridan Hollow. Albany’s South End is an historic neighborhood with a diverse population and many notable community assets. The neighborhood is home to the Capital District's first Habitat home and, to date, we have built or rehabilitated 30 homes in the South End with four more homes currently under construction. Troy’s North Central neighborhood was once a thriving industrial hub of shirt collar factories, bell refineries, and manufacturers of iron and steel that attracted families from around the country. We have fully rehabilitated two two-family homes, and are currently renovating three more homes in the neighborhood with two new construction homes under construction. Past focus neighborhoods include North Albany, where we built 18 homes from 2003 to 2007, and South Troy, where we built 13 homes from 2012 to 2015. We’ve also built in Albany’s Arbor Hill, Delaware Ave and Park South neighborhoods; the Town of Guilderland; the City of Cohoes; Troy’s Eastside and The Hill neighborhoods; and the Village of Castleton. Stay informed about our homebuilding efforts by signing up for our mailing list!